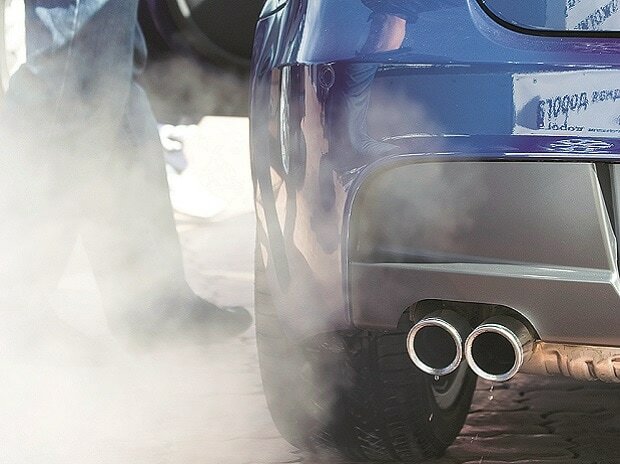 A grey area in the implementation of BS-IV automobile emission norms from April has divided the industry. The government notification on BS-IV said companies could not manufacture such vehicles from April without elaborating on the fate of unsold vehicles manufactured up to March 31. BS-IV vehicles emit less pollutants than those certified BS-III. Companies like Bajaj Auto and Daimler said sale or registration of non-BS-IV vehicles should not be allowed from April. Bajaj, the country’s most profitable two-wheeler maker, has shifted its production to BS-IV months ahead of the deadline. Other two-wheeler makers like Hero MotoCorp and Honda have started producing BS-IV vehicles recently, but they have unsold inventory of BS-III vehicles. The price of BS-IV two-wheelers is Rs 500-Rs 1,500 higher, which could drive buyers to BS-III vehicles. This puts companies like Bajaj at a disadvantage. The Environment Pollution (Prevention and Control) Authority (EPCA), a body constituted by the environment ministry, had been insisting since October 2016 that no sale and registration of non-BS-IV vehicles be allowed after April 2017. However, the government notification is silent on the matter of sale and registration. Most companies and the Society of Indian Automobile Manufacturers hold that the April deadline is only for manufacturing. The matter is now before the Supreme Court, which will hear it on March 20. Bajaj has filed an application at the apex court, seeking enforcement of the deadline from the point of sales and registration. The EPCA, too, is seeking this. The Union transport ministry must clarify in court if the notification applies to sale and registration. It has informed the ministry of heavy industries that the unsold inventory of BS-III vehicles needs to be protected and that the notification only relates to manufacturing. “There will be small inventory of BS-III vehicles to be registered beyond April 1, which has been the case every time a shift to a higher emission standards happened. Allegations that the automobile industry wants to reschedule or delay the implementation of BS-IV are false. Companies will follow the notification in letter and spirit by producing only BS-IV vehicles from April,” said an industry executive. The issue affects commercial vehicle makers more than any other segment of the industry. Leading players like Tata Motors, Ashok Leyland and M&M are sitting on inventory that will not be sold by the month-end. But German major Daimler’s commercial vehicles arm in India, Bharat Benz, is resisting sales or registration after March 31. A BS-IV commercial vehicle could be 8-10 per cent costlier than a BS-III vehicle, putting players like Bharat Benz at a disadvantage.